Peter Bernfeld is a writer of much promise, and a man of many faces. It makes us proud to have him on board, and believe that his multi-talented approach to the various genres he covers in his work, will find its way to the top in the industry. 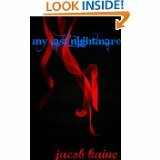 Other works soon to be published by this Author are titles such as: Eliezer’s J0urney Book I, Eliezer’s Return Book II, and hopefully this series is to be followed by a third sequel suitable for the adult fiction market. Other illustrated works by Peter are titled : The Terrific Adventures of Trembling Tim the Two Tone Tiger, and Tim Turpin The Highway Man (eh, tiger) – suitable for a General Audiences and Young Adults and Children alike this highly entertaining and fascinating satire is a must read when the books are released to the market in the near future. The two latter titles are books about a Tiger called Tim (a trembling two-tone tiger) who, along with his other animal companions, play out all the characters features in both these illustrated editions and acti out their respective roles. The amazing illustrations were provided by another talented Client of ours, Author John. L. Barnett. WORK: 1975 obtained Commercial pilots licence. Due to downturn in the airline industry in the UK coupled with a severe shortage of helicopter pilots to work on the rapidly expanding North Sea oil exploration program I obtained a commercial Helicopter Pilots’ licence funded by the UK Government and BEA Helicopters. I lived and worked in the Shetland Islands for eighteen months before changing companies. I was then based on an oil rig, working two weeks on, two weeks off, flying a ‘bus service’ taking the workers from the accommodation rigs to the production platforms. In 1979 I was posted to the Far East, working in East Kalimantan (Indonesian Borneo) flying seismic survey teams and also aerial crane work. At some point in all this I got married and following the end of my tour in the Far East was sent to Nigeria, with my then wife and daughter. After four years of this I resigned and with my wife brought a pub in my hometown of Winchester. A severe economic downturn in the early 1990’s saw the closing (voluntary) of the pub and a divorce. I returned to flying. I obtained a job in Guernsey, one of the British Channel Islands, and brought a boat to live on. I took an eighteen-month sabbatical and sailed to the Caribbean, where unfortunately work proved almost impossible to come by. I returned to flying helicopters in Nigeria for a year, and then obtained an airline job in the UK. Somewhere along the line I had a brainstorm and studied for an MSc in Aviation Management; this led to a very junior management position, in the airline safety department. I went by the very grand title of Air Safety Investigator (Operations). Another economic downturn; I decided on a complete career change and studied to become a hypnotherapist, at the London College of Clinical Hypnosis. On graduating I established a practice in my local area, but after a couple of years got ‘itchy feet’ and decided that I had a need to sail my own boat around the World. I closed the practice, worked for about eighteen months in Guernsey (in the process becoming Flight Safety Officer) back with the same airline, living on a boat (a new one) in the local marina. Then I took early retirement and am currently sailing in the South Pacific. WRITING: The Author had an article published in a Caribbean monthly paper aimed at cruising ‘yotties’ and I’ve published a couple of case histories in the Hypnotherapy magazine published by the LCCH. HOBBIES: He was an indifferent golfer of sorts, a reluctant jogger and had the dance-floor co-ordination of the England soccer team (i.e. non-existent). Peter was reasonably good at squash but luckily realised that this was a form of physical exercise and gave it up before any harm came of it. These days, he enjoys cooking, sampling local ‘brews’ and people watching. Sailing is not a hobby; it’s a way of life. In Victorian London, Dr. Augustus Pierre LeMesurier began his medical career as a surgeon but soon found himself drawn to the fledging fields of hypnosis and psychology. Here he discovered the power of the mind in healing the body, and found how one person’s memory might seem to stretch across many lifetimes. In the midst of his discoveries, he learned the workings of the criminal mind. Fifteen years ago, a serial killer stalked the city. Then, LeMesurier’s unique skills in delving into the secrets of the darkest of human minds brought him to the attention of the British Secret Service and Scotland Yard. Now, a new terror walks the streets. 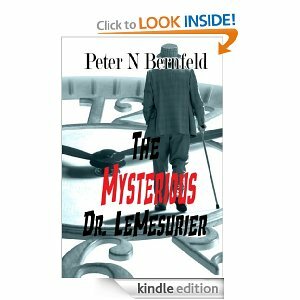 LeMesurier is called from his private practice and is again enlisted by Scotland Yard. Is this the same killer as before, and, if so, why is there a gap between the murderous sprees? Fear not, the only thing they have is a name: Jack the Ripper. A Science fiction, time travel Trilogy, set poignantly and sharply against a tapestry of present-day Middle-Eastern current affairs, historical myths and everything that spellbinding and unforgettable legends are made of…. A whopping 502 pages, certain to capture the reader’s attention; will carry you away into another world, and another dimension inside a dimension, where the two worlds blend and sometimes collide. A three thousand year old ship appears out of a violent storm and there is one survivor. You don’t know who or what caused the storm. You don’t know how the storm was generated. You don’t know why the storm was generated. You do know that knowledge the survivor possesses might change history. You do know you cannot prevent the formation of other storms. You do know you cannot prevent people from your time being taken by similar storms. You are the Government. What do you do? 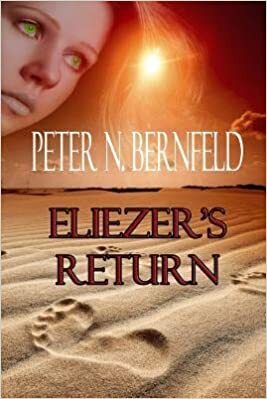 Eliezer’s Return bring this amazing Time travel adventure to a satisfying and rewarding climax. Who is controlling the past? Scenes occurring in the present day are woven into the narrative throughout the book. They take place over a twelve-hour period. Scenes in the past occur over approximately a seven-month period. Present-day: Mossad becomes aware of an Iranian plan to launch a single-missile attack from Iran, supported by Hezbollah launching a mass unguided missile attack from Southern Lebanon. What warhead will the missile Iranian carry? The Israeli past prime ministers committee discuss changing Israel’s nuclear stance and the possiblity of a pre-emptive nuclear strike on Iran. The Israeli Chief of Staff presents a comprehensive war plan, in the event that Egypt abrogates the peace treaty with Israel. Egypt has a secret pact with Turkey, and the plan involves an Israeli attack on Northern Cyprus to aid a Greek Cypriot invasion of the north of the Island. A Time Storm transports Eliezer Ben Jacob, the Israelite ship-owner fom the time of King Solomon and Danny Ben Asher, present day Mossad agent, back to Eliezer’s time. Ben Asher has been sent to ensure that the plan to create a trading fleet for Solomon never reaches fruition, because according to present day records, such a fleet never existed. As posited by present-day physicists, they, the wreckage of Eliezer’s ship and the bodies of his crew, arrive back at exactly the moment the ship began to break up, so it is as though it never happened and the crew killed out of their time continue to live, in their own time. Eliezer rescues Ben Asher from the sea. He doesn’t arrive back on the ship because he was never on it in the first place. They continue on the ships’ original voyage to Ictis and there trade for tin. All appears normal, apart from Ben Asher’s presence, until they reach Ireland. Bad weather prevents them from leaving and the chief of the settlement where they have been trading decides to hold a celidh. At this celidh, a blind singer, whom only Ben Asher and Eliezer can see and hear, takes Ben Asher to a place outside of time, and tells him that she knows his name and where and when he is from. She gives him a ring as a token of their meeting, Ben Asher realises that she speaks Modern Hebrew. The ring is the one that was in the package that Eliezer left for himself in the Temple Tunnels, at the end of Book One. The weather clears, and they begin their voyage back to Eliezer’s homeport of Suur, near Tyre. Off the coast of Spain, the wind turns against them and they are forced to seek shelter. Here, attacked by a local tribe, Ben Asher is surprised to find that Eliezer carries both an explosive powder onboard the ship and a weapon that resembles a modern mortar. They fight off the tribe, and with a stop at a Phoenician trading post near Vigo, continue to the Israelite colony of Tel Tarsa. Here, they meet Adoniram, an agent of Solomon’s court, who informs them that another time traveller has appeared on the scene, one Mendel Friedman, a right-wing Rabbi and trouble-maker from Danny Ben Asher’s time. Friedman had been plotting to blow up the Al Aqsa mosque in Jerusalem in Book One. Departing for home, they follow the African coast to avoid Greek Pirates. Caught in a southerly storm, the storm blows them up into the Ionian Islands and the ship is damaged. Repairing the ship on an island, the narrative includes a reworking of the myth of Cyclops. Safely on their way, Eliezer tells the story of the Egyptian Priestess who gave him the world charts, and whom they now realise must also have been a time traveller. He also recounts the story of a trip to the Spice Islands, where they encounter a Polynesian canoe, navigated by Maui, who figures in many Pacific creation myths. Arriving in Suur, Eliezer’s wife Miriam has had a visit from Feidlimid, the mysterious blind singer. She tells Miriam that Danny Ben Asher is a direct descendant of her and Eliezer, and that they must hurry on to Jerusalem to prevent a sacrifice. Ben Asher and Eliezer understand this to mean that Solomon has decided to kill Friedman, which may have unforseen consequences if he dies out of his correct time. In Jerusalem, they meet Solomon who has also had an encounter with Feidlimid. As a result, he knows both Ben Asher and Friedman are not of this time and wants them both to leave immediately. They travel by chariot and camel to the Israelite customs post of Mahattal al Turayf. There, they find fragments of a Wedgwood tea set in the bottom of a trench. At this point, another Time Storm occurs. Feidlimid appears, tells Eliezer that this storm is not for him and he must return to Jerusalem to write the letter to himself, that he and Ben Asher found in Book One. It appears that he does not write this as an old man, despite what was in the letter. Ben Asher and an unconscious Friedman are absorbed by the storm. Inside the storm, Feidlimid appears to Ben Asher, telling him that he will not kill Friedman now, because the storm will take them to different places. She intimates that this is not the last Time Storm that Ben Asher will encounter. Who or what is Feidlimid? A wonderful illustrated work, fabulous satire, clever plots, and superb illustrations that kids will adore, and a ‘must read’ for readers of ALL ages, is what makes up this great children’s book titled “The Legend of Tim Turpin”. On the run from the King’s Redcoats after buying stolen meat to make the pies he sells, tiger Tim Turpin is left destitute after the stagecoach in which he is fleeing is held up by a highwayman. This gives him the idea for a new career. Soon, Tim and his opinionated horse Betsey (she doesn’t “do” carts) become famous Highway robbers who steal from the rich to give to the poor: after deduction of a suitable management fee, of course. When they hold up the beautiful squirrel Lady Hazel de Mille, her influential boyfriend Sir Cecil Skunk plots revenge, but it seems that Tim stole the lady’s heart as well as her purse on that fateful day. The stories are amazing, intelligent and super fun, and the illustrations are wonderful. Would love to see this go to live animation. Another equally enthralling satire, of amazing intelligence, telling it how it is, and how the society works, as seen through the eyes of the animals characters of this amazing children’s come adult book. Beautifully illustrated again by one talented illustrator John L. D. Barnett (Refer to his Author page on this site also). Note: Second edition of this book soon to be published. The origins of the Trembling Tim stories stretch back many years to the time when the author read his own daughter bedtime stories. As well as the usual collection of classics, she liked to hear stories made-up from events that she had heard and seen during the day. Sometimes explanations were necessary, and sometimes a bit of judicious editing was needed if she had overheard something that small children should not. Remembering this, the author decided to write stories that would engage children and offer the opportunity for them to interact with the storyteller. These are not stories for lazy parents, children will ask some questions. The stories are suitable at those in the six/seven and up age group, either as read stories or as stories read by the child. The illustrations add to the fun of interaction and the plots involve events and themes that they would have heard their parents discussing, or might perhaps have heard about on television. Children absorb more than most adults appreciate, even if they might not understand what they are absorbing. Same here! Would love to see this go to live animation.